Hello girlies!! Hope you are all well. 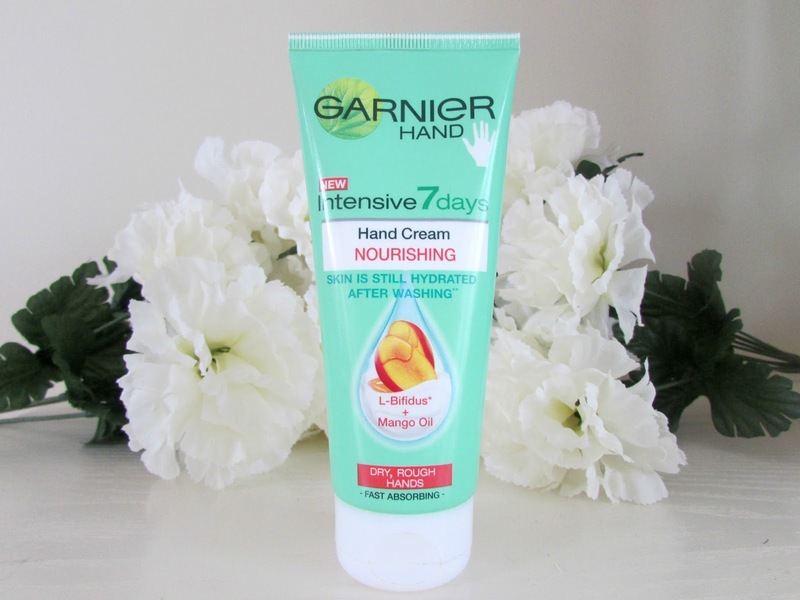 Today I thought I would talk to you about one of my absolute favorite purchases in the last few years and that is the Garnier Intensive 7 Days Hand Cream. I have had this cream for just over 2 weeks now and it is amazing. I first saw this product in one of Zoella's videos and was instantly intrigued. I've never really actually used a lot of Garnier products and since the colder weather is starting to ease it's way back in, my hands need extra care and protection. 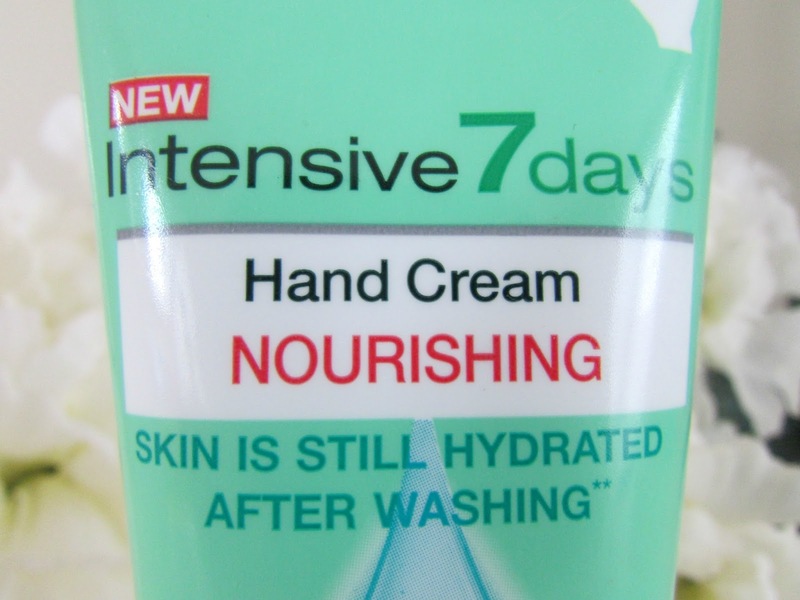 The main reason I decided to purchase this hand cream was purely because of the 'Intensive 7 Days' that is printed at the top of the packaging. This instantly drew me in. I never moisturize every single day as I am forgetful and always seem to have showers at ridiculously late times so I'm lazy and can never be bothered waiting for my skin to try before I put any clothes on. If you say you moisturize every single day then you my friend are a liar. But anyway thanks to this little beauty it now means that my hands will stay soft and moisturized for up to 7 days before I need to reapply it. 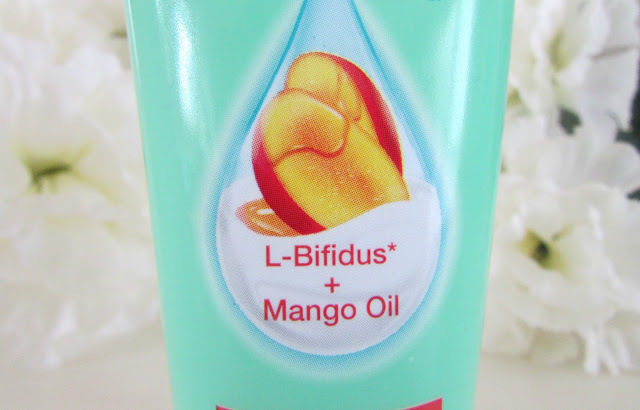 Another reason why I picked this particular hand cream up is because of the 'mango oil' on the front and you all know my obsession with mango scented products. It is a very light slightly sweet scent which I love. On the back of the packaging there are quite a lot of promises that are made in order to draw you in. One of the promises is that even if you wash your hands, they will still feel soft and moisturized, it's fast absorbing, non greasy and it also states that 100% of women found their skin to be a lot softer after using this cream. After using this product for around 2 weeks now I'm thoroughly impressed and have found all of these claims to be 100% true. My hands are no longer dry and flaky and I've found that I actually do not need to re-apply this until after 7-8 days. My hands don't feel greasy or sticky after I've applied this either. Amazing. Even though I absolutely love this hand cream there are a few things I don't like and that is the consistency. It is very thick and you do need quite a lot of product to cover your hands. But I find that doesn't actually matter to much as it is very fast absorbing and doesn't leave your hands feeling sticky or greasy. I find that this product sinks in so fast that you barely even notice you have any product on your hands. Other than the consistency of this cream I'd rate this product 9.5 out of 10. Your hands will never be the same once you have started using this. This cream is priced at only £1.99 at Superdrug and you get 100ML. I think that's an absolute bargain! I know they do a body moisturizer as well so I will definitely be giving that a whirl in the future. Are you a fan of Garnier products? Have you tried this hand cream? If so what are you own views on it. Leave me a comment below.